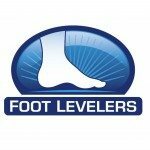 February 27, 2015 — Foot Levelers has introduced the Proprioceptive Testing Kit, a patient communication tool designed to highlight the power proprioception has on human performance and the impact the feet and orthotics can have on the neurological process. The kit features two pairs of testing orthotics and an instruction manual for both proprioceptive and functional squat testing. It also helps demonstrate patients’ proprioception, which in turn can help implement treatment protocols designed to improve strength, agility, and balance. Testing can be used on all patients but can specifically help those with chronic postural problems, recurrent subluxations, reoccurring ankle sprains, chronic pain, and those looking to improve athletic performance. Often described as the sixth sense, proprioception is the “position sense or knowing where the body is in space” and is accomplished by the afferent proprioceptive receptors supplying the cerebral cortex with the sense of joint position. When the constant flow of information regarding the status and function of the musculoskeletal system is compromised, the efficiency of movement is impaired. Patients with this impairment often respond positively to external supports, including functional orthotics. Does your patient need orthotics?